WWE 2K18 Standard, Deluxe & Collector's Editions Details - Everything You Need To Know! WWE 2K18 will come in 3 different editions, available for PlayStation 4, Xbox One and PC platforms from October 17, and later on for Nintendo Switch (release date not announced yet). Let's take an in-depth look at the content that these limited editions include, giving you all the information you need to know! 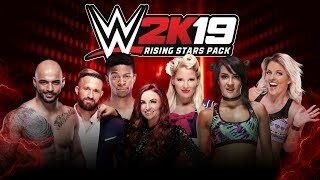 Copy of WWE 2K18 video game. Copy of WWE 2K18 video game with Deluxe Edition packaging. 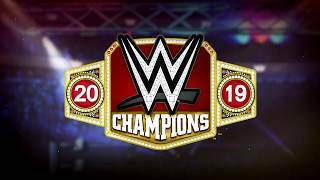 WWE 2K18 Season Pass DLC Content & MyPlayer Kick Start. 2 Playable Versions of Kurt Angle: WWE "American Hero" (2001) & ECW "Wrestling Machine" (2006). Copy of WWE 2K18 video game with premium Collector’s Edition packaging. Bonus WWE SuperCard Content: Limited Edition in-game cards of John Cena, Batista and RVD along with a special Cena (Nuff) Card Back. A: No, the game will be available for Xbox One and PS4 platforms only. Q: Will the game be released for Windows PC? Q: Where can I pre-order the WWE 2K18 Deluxe and Collector's Editions? A: You can pre-order all the 3 editions of the game directly from 2K official Store at THIS link. Q: Are all the digital content in the Cena Nuff Edition available also in the Deluxe Edition? A: Yes, the Deluxe Edition gets everything that's not a physical object in the Cena (Nuff) Edition. For more information on WWE 2K18, check out our News Section and the WWE 2K18 Roster Page!